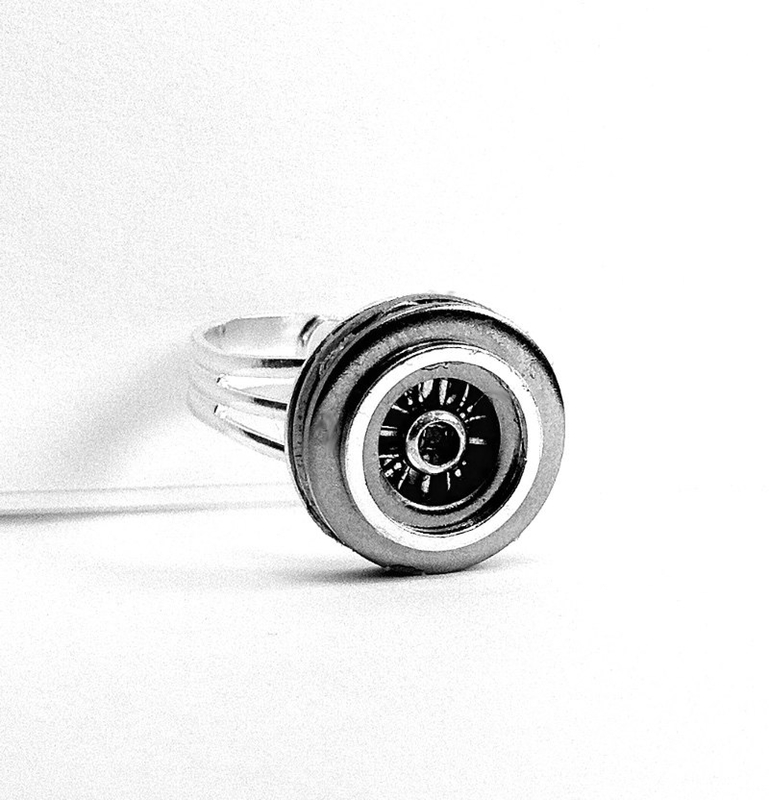 Fabulous gift for the car lover in your life! 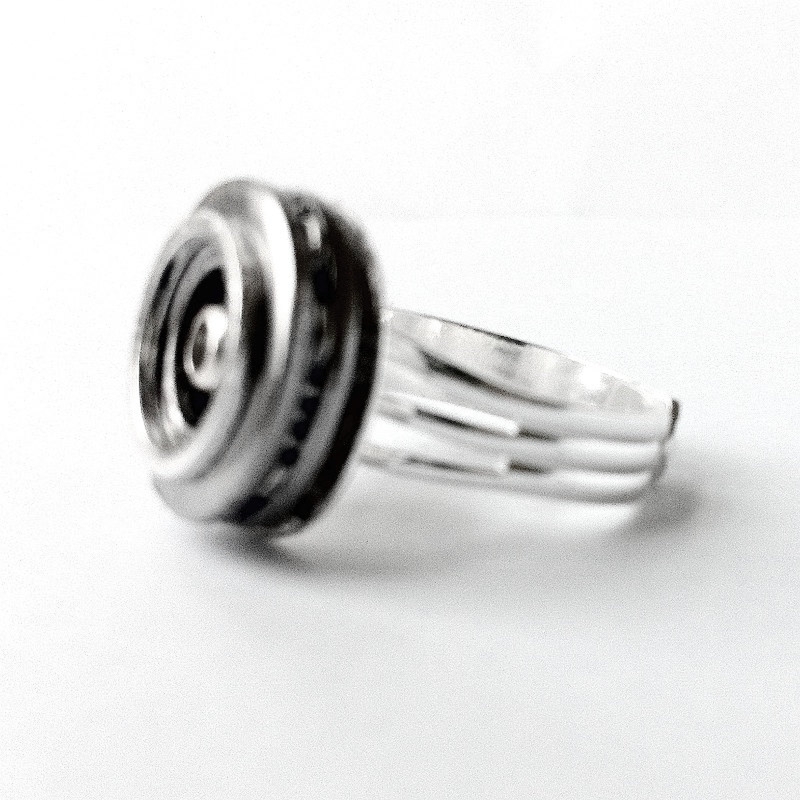 This ring is made out of a combination of stainless steel, sterling silver and silver plated material. 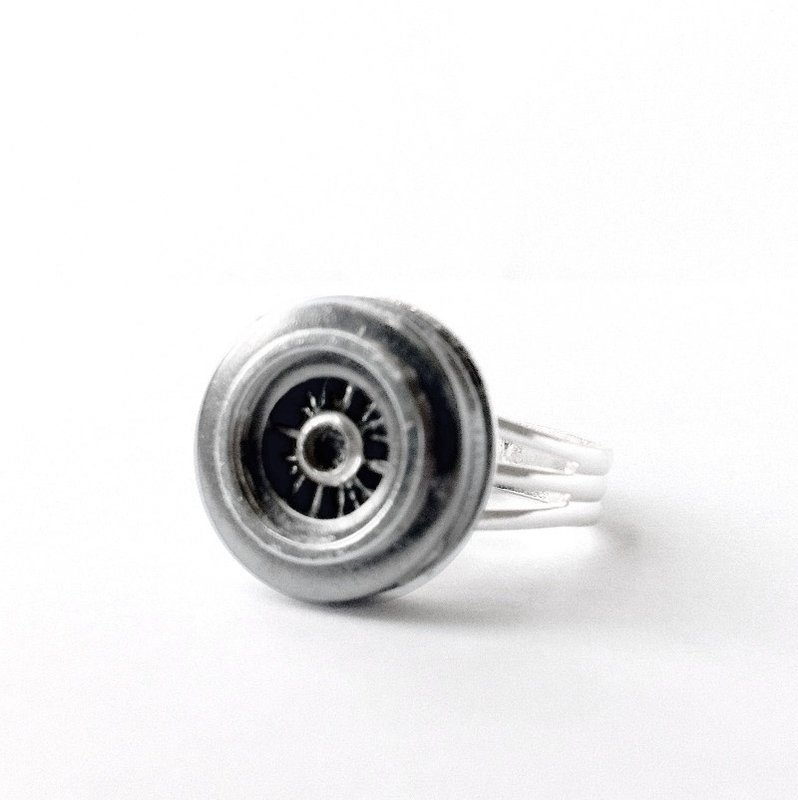 The hubcap top is 5/8" in diameter and 3/16" tall. 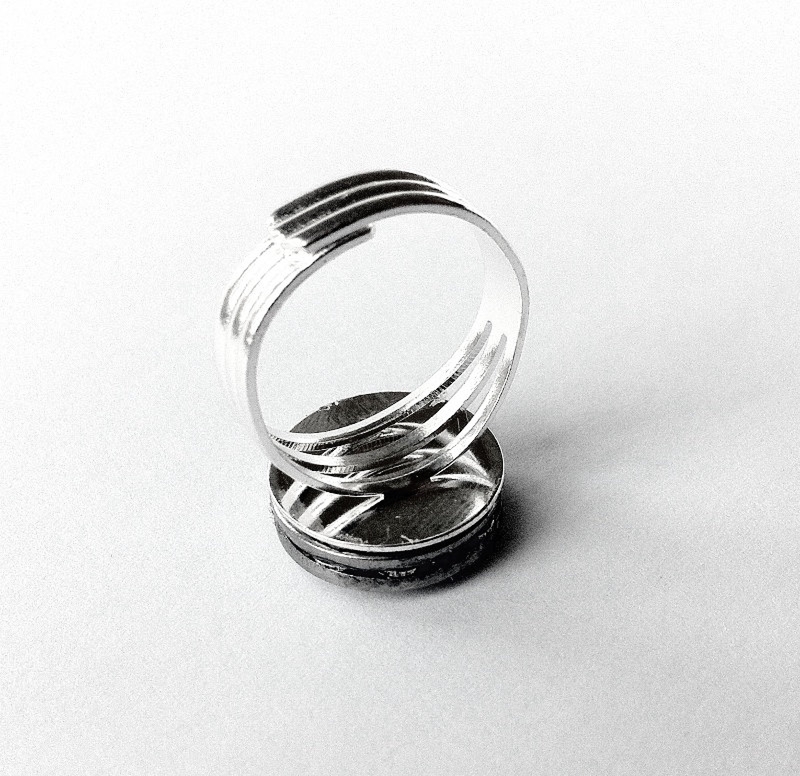 It is perched on top of an adjustable ring base (silver plated shown). 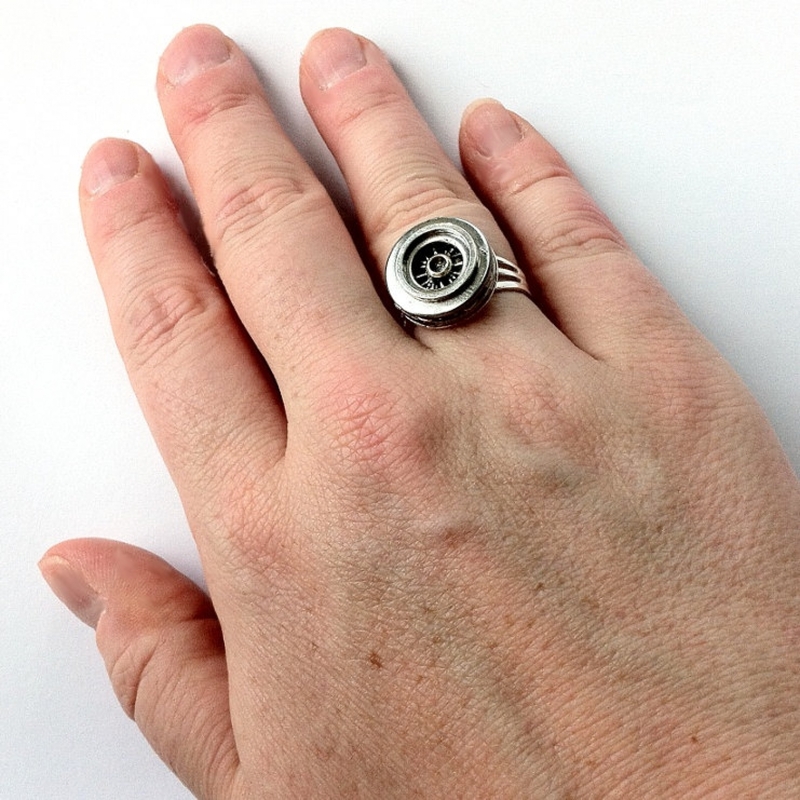 The ring band can be adjusted easily by hand, recommended for sizes 7-9.